Oakland Service Course is an independent cycling workshop dedicated to providing exceptional service to its customers. In professional racing, a service course is the term used to describe the headquarters of a team. It’s the logistical command center where the mechanics, riders, sport directors and others come together to ensure the best possible riding experiences come to fruition. 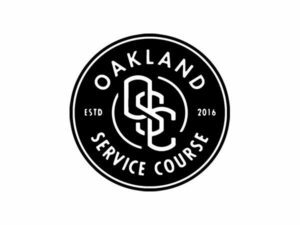 Oakland Service Course is a mechanic’s vision that takes inspiration from that concept. Through years of experience, I’ve learned what beats at the heart of the best shops and distilled it down to its essence: a rider; a bicycle; a goal. I aspire to share my extensive knowledge and passion for cycling – as both a wrench and a rider – with my community to help you reach your destination.